Yellowstone National Park is known for wildlife adventures, diverse ecosystems, and the most amazing scenery. This massive 2.2 million acre behemoth demands time and planning. 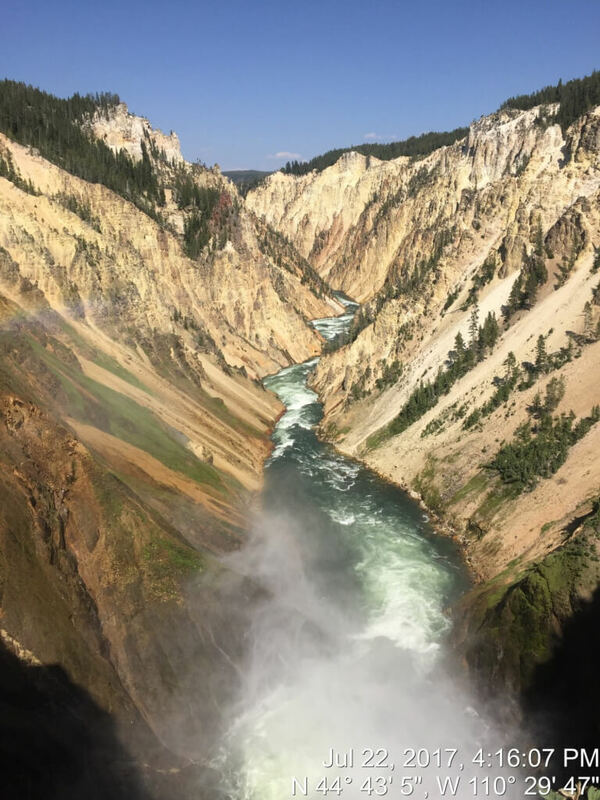 Here are our Goosewing tips to make the most of your Yellowstone experience. Yellowstone National Park hit over 4.2 million annual visitors in 2016, with peak season during June, July and August. So it pays to pre-plan as much as possible for trekking to this behemoth national park. 1. Plan Ahead and stay in the park if you can. Believe us when we say that park accommodations will fill up as early as a year in advance, especially for the busy summer months. Staying at one of the nine lodges or the campgrounds in the park will save TONS of time because Yellowstone is enormous. Given that the best times to enjoy the park are mornings and evenings when others have left the park, then having inside the park lodging is a major advantage. Another perk staying on property is securing dinner reservations, which are required for Old Faithful Inn, Lake Yellowstone Hotel and Grant Village dining rooms. Note that priority for dinner reservations is given to hotel guests. Visitors not staying in these locations must wait until 60 days in advance to make a dining reservation. 2. Grab gas and supplies before entering the park. Packing a cooler with food and drinks will prove to be worth it. Filling the cooler up nightly with ice from the ice machines kept everything cold. And although there are gas stations within the park, it’s wise to go ahead and fill up before entering. 3. Animal lovers, check out Lamar and Hayden Valleys. If keen on seeing animals, these are the two areas that cannot be missed. Everyone we met who had see some variety of wildlife had done it in Lamar Valley. Bison are plentiful, even up close to the road! We also spotted elk, wolves, and brown bears. 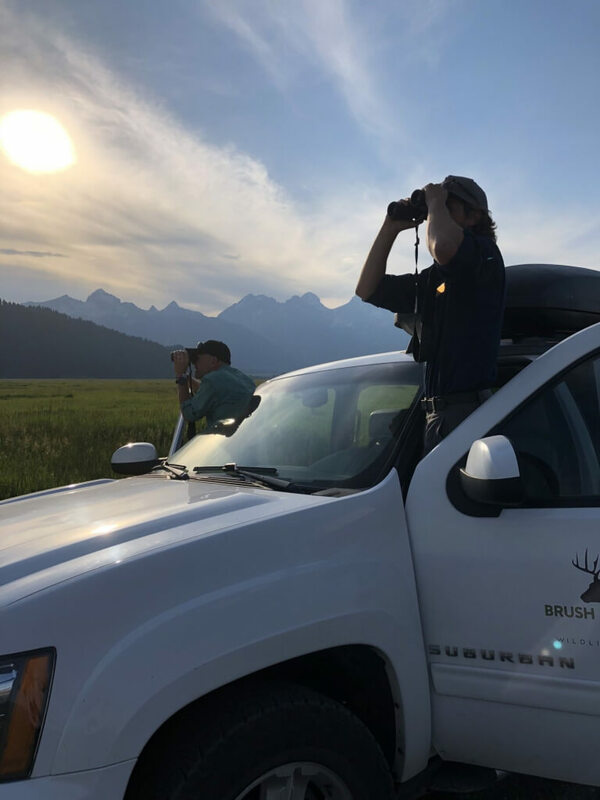 Book the Lamar Valley Wildlife Excursion on the Historic Yellow Bus for a guided tour that will tap into all the hotspots for wildlife watching. Early birds, there’s also the Wake Up to Wildlife Tour. The key takeaway here is to capitalize on the early mornings and/or early evenings in Yellowstone. Two words: worth it! The Yellowstone River becomes a waterfall as it plunges 308 feet over the Lower Falls. This spot is awe-inspiring as visitors are fingertips aways from the waterfall as it roars past. A fabulous photo opportunity. But warning: the trail is steep and loaded with switchbacks, which means as challenging as it is to descend, it’s that much harder to walk back up! If this doesn’t sound appealing, go to Artist Point where no climbing is required. Yellowstone has almost 60 percent of the world’s geysers. There are at least 150 geysers within 1 square miles. 5 of these major geysers are predicted regularly by the Yellowstone staff: Castle, Grand, Daisy, Riverside, and Old Faithful. Old Faithful is probably the most popular attraction at Yellowstone. 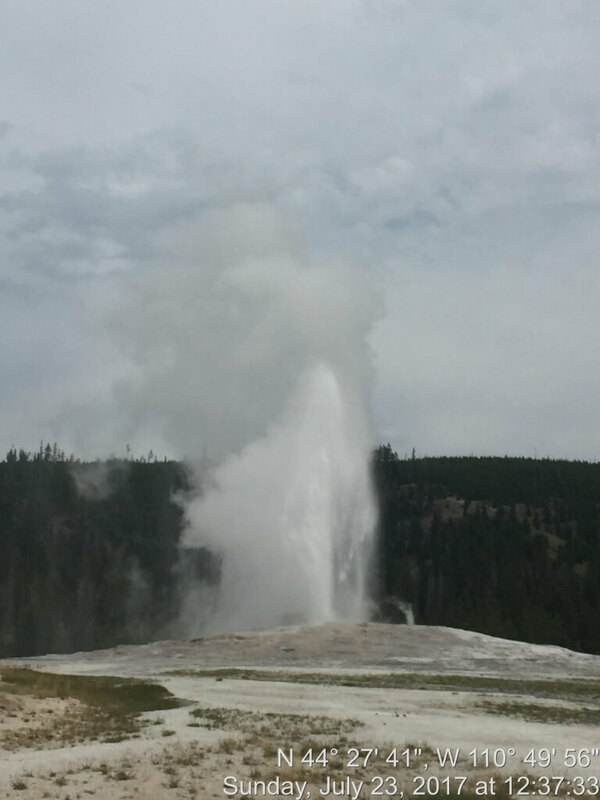 Named for its relative predictability, Old Faithful’s eruptions are forecast daily by the park rangers (give or take 5 minutes). Don’t miss the Old Faithful Visitor Education Center, a treasure trove of wonderful information and great place to snag junior ranger badges. Old Faithful draws massive crowds, so try to visit early in the morning or late in the day. Check immediately about eruption times on posted placards or using the National Parks app. Snag a spot early to watch as the geyser shoots water on average 145 feet in the air for 1 1/2 to 5 minutes. Thee jaw-dropping Grand Prismatic Spring at the Midway Geyser Basin is larger than a football field and deeper than a 10-story building! What captivates is its gorgeous colors. Alongside Grand Prismatic, you’ll find Excelsior Geyser, Turquoise Pool, and Opal Pool. 5. Book Tours to Learn More About this Park. The 2-hour Twilight on the Firehole tour (late May to early September) shows off the Firehole region in its best light. Climb aboard a 1930s-era Historic Yellow Bus for the Geyser Gazers outing (late May to mid-August and mid-September to early October). The 1½-hour exploration along Firehole Lake Drive takes in Excelsior Geyser Crater, a colossal hot spring that spews 4,000 gallons of water per minute into the Firehole River. If you have a full day, the Yellowstone in a Day Tour (late May to early October) covers the entire 142-mile Grand Loop Road, including Old Faithful, Lake Yellowstone Hotel, the Upper and Lower Falls of the Grand Canyon of the Yellowstone, Canyon Village, Mammoth Hot Springs, and Fountain Paint Pots. As for booking tours, don’t rely solely on the website because it only takes a request form. Instead, call central reservations at (307) 344-7311. If all else fails, call back within the cancellation window because other guests might drop a reservation. To protect yourself and the animals you come to watch, always remain at least 100 yards from bears or wolves, and at least 25 yards from all other wildlife. Never approach or pursue an animal to take its picture: use binoculars or telephoto lenses to get a better view. If an animal moves closer to you, back away to maintain a safe distance. Must-have supplies for wildlife watching would be binoculars, camera/lenses, and bear spray if hiking is planned. Also expect to see a bison traffic jam. When they decide to use the road, all bets are off on how soon vehicles will make it through. Patience is definitely a virtue in the park! 7. Find the best park ticket price. Annual Pass: Purchase an America the Beautiful Annual Pass ($80) if several national parks are in your plans. Senior Pass: Available for U.S. citizens or permanent residents age 62 or over. Applicants must provide documentation of age and residency or citizenship. Cost: $80 for a lifetime Senior Pass and $20 for Annual Senior Pass. Every Kid in a Park (4th Graders): And don’t forget if you have a 4th grader, the entire family gets free admission to all national parks as part of the Every Kid in a Park initiative. Military Pass: FREE to current U.S. military members and dependents in the Army, Navy, Air Force, Marines, and Coast Guard as well as Reserve and National Guard members. As the first and the biggest national park, Yellowstone requires some pre-planning but it is so worth the effort! From guided tours to fishing, hiking, boating and horseback riding, the activities are endless. 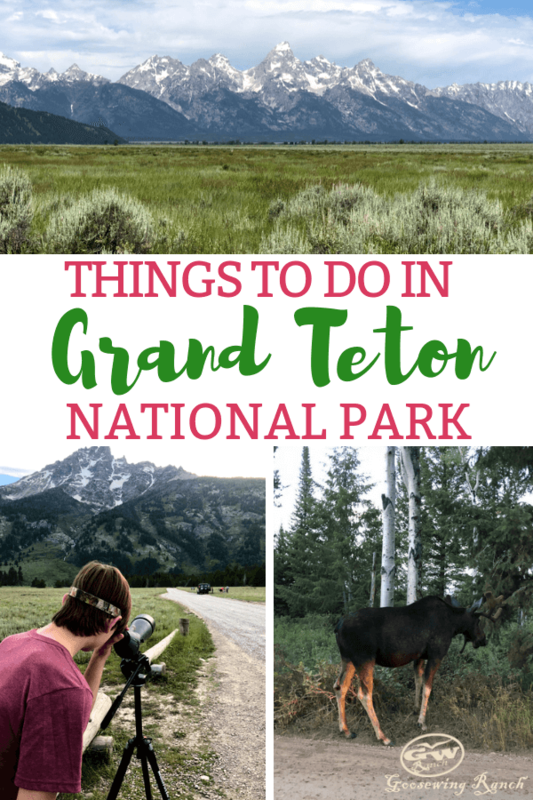 So we’re sharing a list of Yellowstone Things to Do, links for best adventures, and tips to make this amazing park more approachable. Is Yellowstone popular? You bet! Especially during peak season in June, July, and August. In 2017, visitors to Yellowstone National Park totaled 4.1 million, the second highest attendance ever. Since 2008, annual visitation to Yellowstone has increased by close to 40 percent. So it’s imperative to choose activities and excursions wisely. We’re sharing ideas on the best Things to Do in Yellowstone National Park. For early risers, the Wake Up to Wildlife Tour (late May to late September) covers the Lamar Valley area in a 13-passenger Historic Yellow Bus. The roof rolls back for better wildlife viewing. Bison roam the Lamar Valley alongside bears, elk, bighorn sheep and even wolves. Guides of the Picture Perfect Photo Safari (mid-May to early October) are educated in both the region and photography. 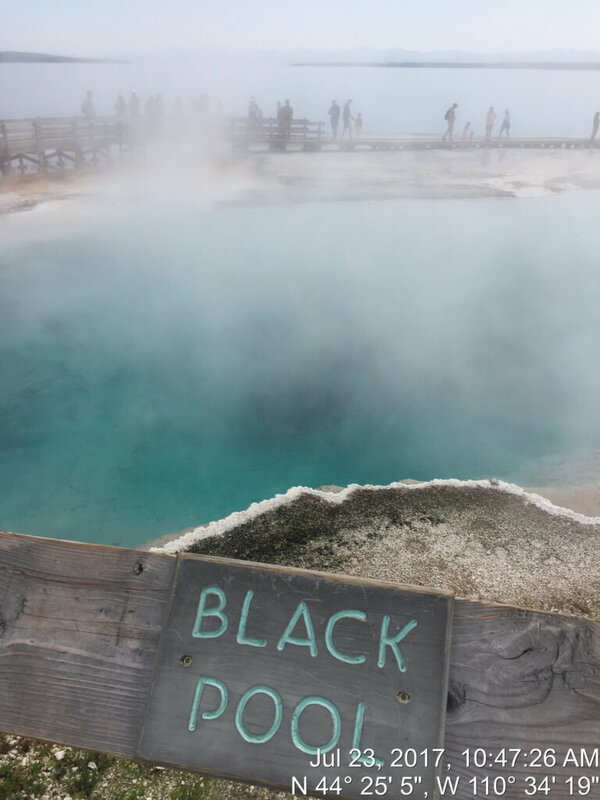 Offering two 5-hour tours: one leaving from Old Faithful Inn and focusing on thermal areas north of the lodge, and the second one leaving from Lake Yellowstone Hotel that scopes out wildlife in the Hayden Valley, the north shore of Lake Yellowstone, and the Grand Canyon of the Yellowstone. For a combination horseback and dining experience, try the Old West Dinner Cookout (mid-June to mid-September). Getting there via horseback or in a canvas-covered wagon is part of the fun. What awaits is steaks cooked to order, Roosevelt Baked Beans, potato salad, coleslaw, cornbread muffins, chuck wagon corn, watermelon, and fruit crisp. Add in hot coffee over a roaring campfire with Western tunes and it is truly an adventure! Or there’s the Stagecoach Adventure from Roosevelt where guests will feel like pioneers and hear about the stagecoach’s history in Yellowstone. Make your own wildlife tour by exploring on your own. Keep in mind that some of the best wildlife viewing areas include Hayden Valley and Lamar Valley. In Hayden Valley, look for bison, black bears, elk, grizzly bears, and wolves. 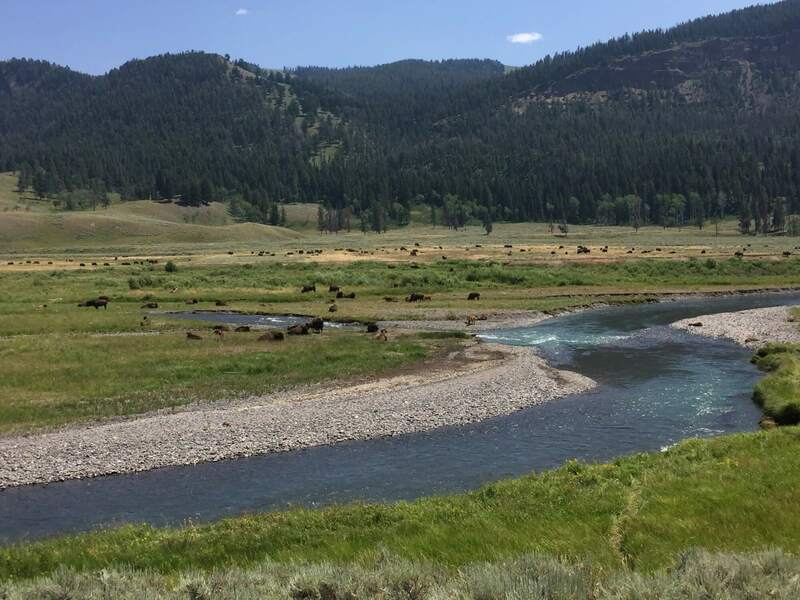 Lamar Valley is home to bison, black bears, bighorn sheep, elk, grizzly bears, mule deer, pronghorn, and wolves. When in doubt and there are a lot of cars pulled over, there is likely a wildlife sighting (especially if many people have spotting scopes). For horse lovers, Yellowstone allows private, licensed outfitters who have been authorized to operate in the park to guide trips. Some outfitters offer day trips and some offer guided overnight backcountry trips. The Yellowstone National Park Lodges also offer 1 or 2-hour horseback rides from Tower-Roosevelt and Canyon (early June to early September). While we love for guests to do their horseback riding with us here at Goosewing, we can say that it’s an awesome activity no matter where you experience it. Yellowstone has more than 900 miles of hiking trails. The National Park Service has a great guide on all the hiking trails in the park. Keep in Mind: Many of Yellowstone’s trails are more than 7,000 feet above sea level. Additionally, most areas retain snow until late May/early June, and some higher elevation spots are snow-covered until late July. Yellowstone Lake is the setting for a 1-hour Scenicruise (mid-June to mid-September) featuring eagles, osprey, and other birds from aboard the Lake Queen. Or go it on your own by renting a motorboat or rowboat at Bridge Bay Marina. Other companies offer guided services for canoeing, kayaking, and motorized boating. If using your own boat/float tube, you’ll need a permit and a free Yellowstone aquatic invasive species inspection. You can speed up the inspection process by arriving with a boat that is clean, drained, and dry. Watercraft that arrive dirty or with standing water will be subject to decontamination; if they cannot be properly decontaminated, then the watercraft will be prohibited from launching. Of the approximately 4 million Yellowstone visitors each year, about 50,000 of them fish. Anglers 16 years of age or older must have a valid National Park fishing permit to fish in the park (state fishing licenses are not valid). 3-day permit: $18; 7-day permit: $25; and season-long permit: $40. Albright Visitor Center (open June to September)-Mammoth Hot Springs. Canyon Visitor Education Center (open late Spring through mid Fall)-Canyon Village. Fishing Bridge Visitor Center & Trailside Museum (open May to September)-Lake Yellowstone. Grant Visitor Center (open May to October)-western shore of Yellowstone Lake, a short distance south of the West Thumb Geyser Basin. Madison Information Station & Trailside Museum (open May to October)-Located between Madison Junction and Old Faithful. Museum of the National Park Ranger (open May to September)-off the Grand Loop Road at the entrance to Norris Campground. Norris Geyser Basin Museum & Information Station (open May to October)-1/4 mile east of Norris Junction just off the Grand Loop Road. Old Faithful Visitor Education Center (open daily throughout the year, with two month-long closed periods in the fall and spring)-Upper Geyser Basin at Old Faithful. West Thumb Information Station (open May to October)-north of Grant Village and on Lake Yellowstone. West Yellowstone Visitor Information Center (open May through September, and open weekdays, early November through April)-in the West Yellowstone Chamber of Commerce. Use this Yellowstone Map to get familiar with the areas ahead of time. To protect yourself and the animals you come to watch, always remain at least 100 yards from bears or wolves, and at least 25 yards from all other wildlife. Never approach or pursue an animal to take its picture: use binoculars or telephoto lenses to get a better view. If an animal moves closer to you, back away to maintain a safe distance. If you cause an animal to move, you’re too close. It’s illegal to willfully remain near or approach wildlife, including birds, within any distance that disturbs or displaces the animal. Park in roadside pullouts when watching/photographing animals: do not block traffic. Stay in or next to your car when watching bears. If a bear approaches or touches your car, honk your horn and drive away to discourage this behavior. 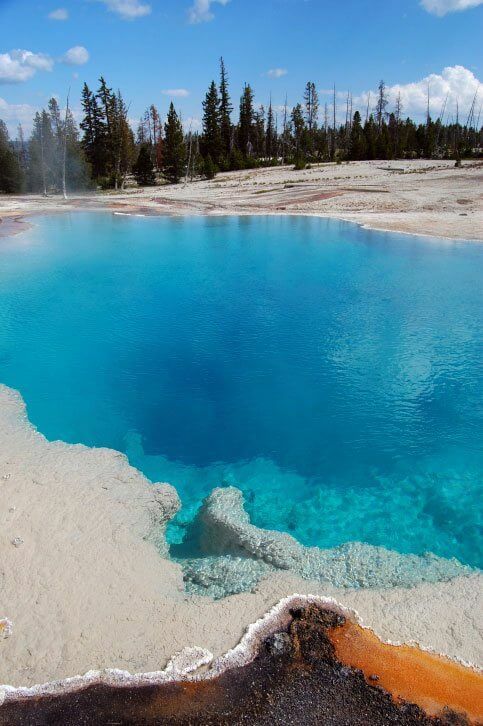 Yellowstone has almost 60 percent of the world’s geysers. Within one square mile, there are at least 150 of these hydrothermal wonders. 5 of these major geysers are predicted regularly by the Yellowstone staff: Castle, Grand, Daisy, Riverside, and Old Faithful. The Yellowstone River becomes a waterfall as it plunges 308 feet over the Lower Falls. Artist Point is the easier spot to view the falls or choose the Lower Falls trail. It’s quite steep (328 steps down) and loaded with switchbacks, which means as challenging as it is to descend, it’s that much harder to walk back up! But this spot is awe-inspiring as visitors are fingertips aways from the waterfall as it roars past. A fabulous photo opportunity. Also a MUST SEE is the jaw-dropping Grand Prismatic Spring at the Midway Geyser Basin. It’s larger than a football field and deeper than a 10-story building! What captivates is its gorgeous colors. Alongside Grand Prismatic, you’ll find Excelsior Geyser, Turquoise Pool, and Opal Pool. Arrive early and/or stay late. Park entrances are generally busiest from 9 am to 11 am. And since it doesn’t get dark during the summer until 9PM, stay late and there will be fewer crowds as dinner time approaches. National Park Service offers two free apps to help with planning your trip, understanding the stories of the park, and enjoying your visit. For planning and education, there’s the official National Park Service app. Meanwhile, the NPS Yellowstone Geysers app provides eruption predictions (when available) for Old Faithful, Grand, Castle, Great Fountain, Daisy, and Riverside Geysers. They are great resources for the latest geyser predictions, campsite and lodging availabilities, and road conditions from Yellowstone’s live data feeds. Summer is the busiest season of the year. 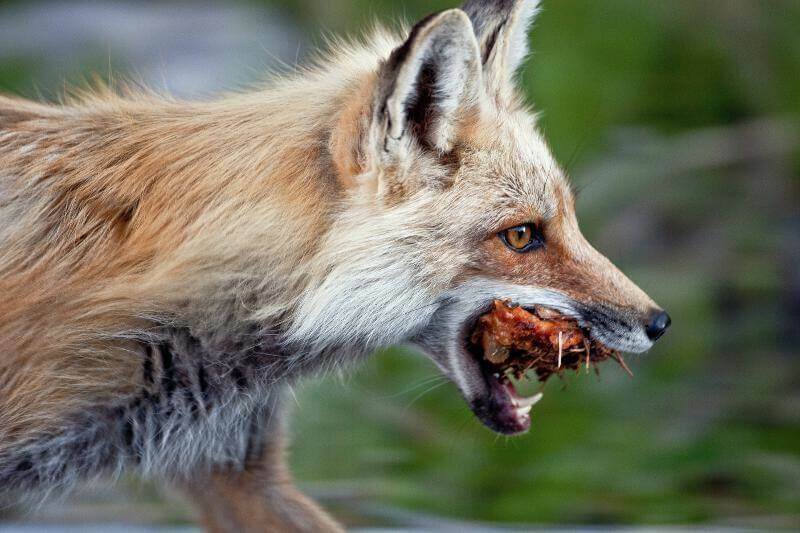 It’s the best time to see a variety of wildlife – wolves, bears, moose, elk, and deer. Temperatures usually hover at 70F with cooler temperatures at night. Some elevations see freezing temperatures overnight. And watch out-thunderstorms are common in the afternoons. DO NOT approach the animals. It’s called WILDlife for a reason. Stay on boardwalks and paths because they are designed to protect guests and the land. Hot springs are very dangerous! They injure/kill more people than any other natural feature in the park.